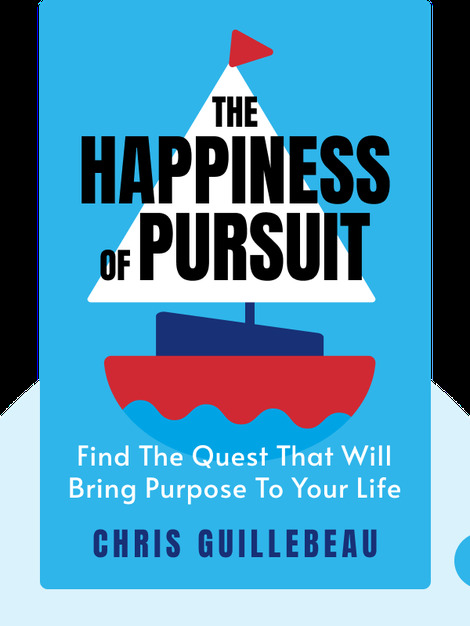 The Happiness of Pursuit is about embarking on a quest to fill your life with a sense of purpose. It explains how the process of finding and following a personal journey can be deeply rewarding and life-affirming. The reader can expect to come across many interesting case studies of people who have followed their passions – from a young environmentalist who spent a year living in a Tasmanian tree to an Oklahoma woman who dedicated herself to cooking a meal from every country in the world. 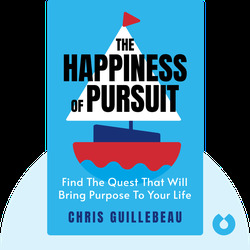 Chris Guillebeau is a traveler, entrepreneur and New York Times-bestselling author. He fulfilled his own personal quest – visiting every country in the world – before he turned 35.